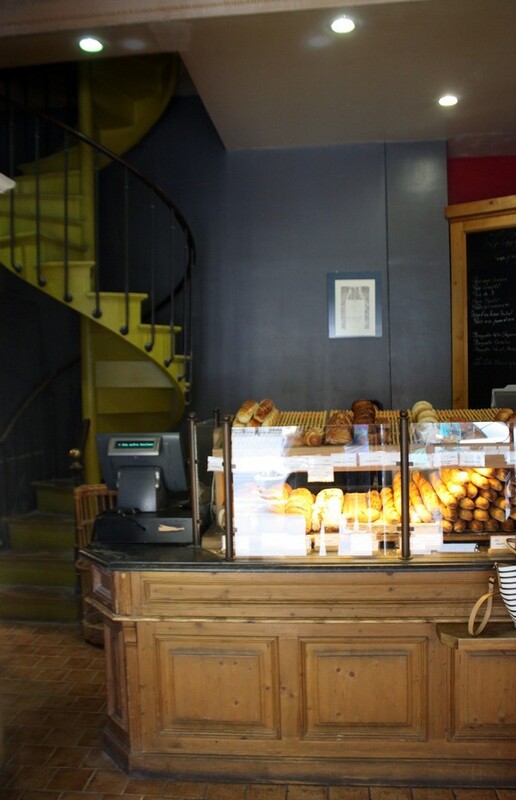 When we walk into Le Grenier à Pain and ask for the propriétaire, a chain reaction occurs. “Madame!” “Madame!” “Madame!” the three women behind the counter yell in succession. We wait as feet begin to descend the spiral staircase. When she reaches the bottom, Mme. Seo smiles with tired but friendly eyes. She immediately apologizes for her French – “Je suis une étrangère,” she explains – but in fact, she sounds almost flawless. 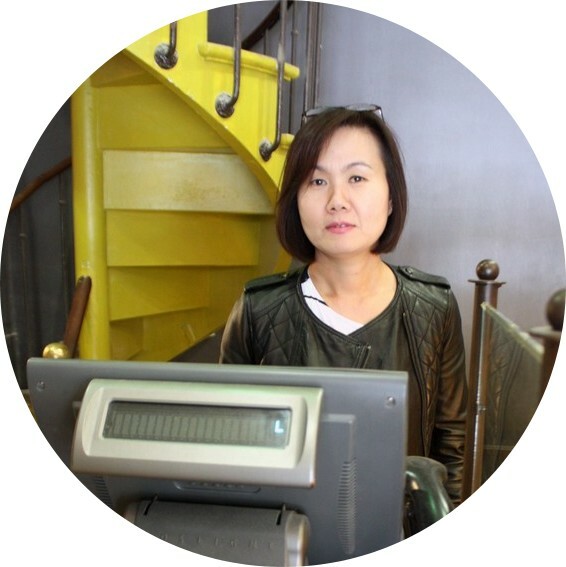 Seo and her husband run a boulangerie as part of the Le Grenier à Pain chain in the 9th arrondissement, near one of the most up-and-coming neighborhoods in Paris. 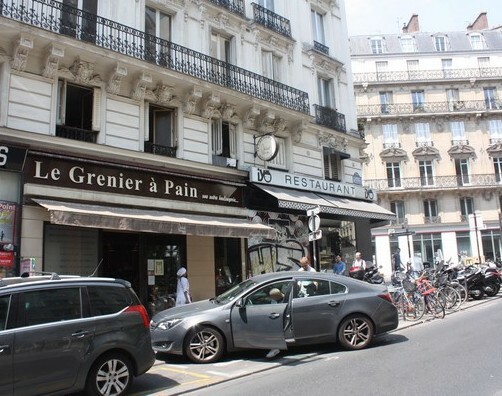 Located conveniently between Montmartre and Grands Boulevards, Le Grenier à Pain is nearly always busy and steps up to the challenge of feeding Parisians of all stripes. Created by Michel Galloyer, teacher at France’s Ecole Nationale Supérieure de Patisserie, Le Grenier à Pain is one in a chain of five stores. 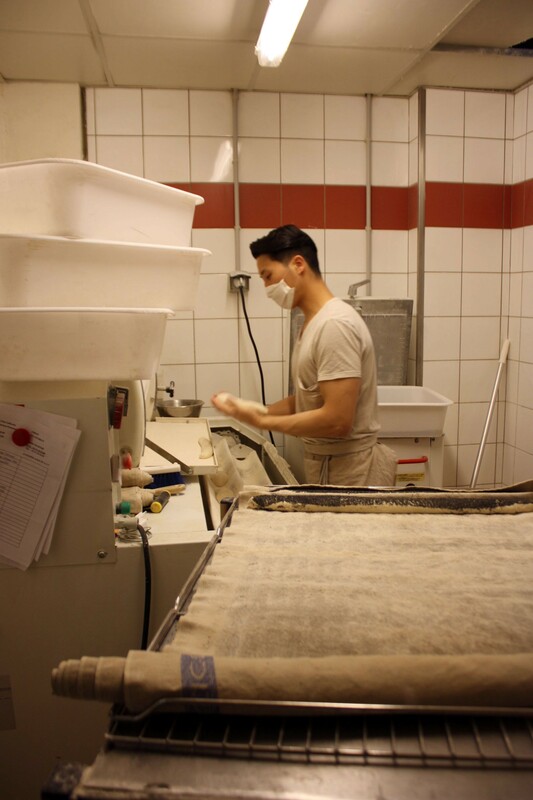 It was recently awarded the title of 8th best baguette in Paris, no small feat considering Seo’s husband decided to change careers midway through his studies, and move from South Korea to France to become a pastry chef. 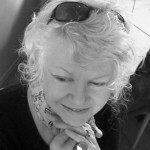 Such a shift has clearly presented unique challenges for the Seos, who lived in Provence before moving to Paris, but it hasn’t slowed them down. 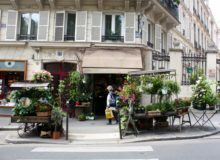 Their bread, stuffed with apricots, figs or olives, and their Tarte tatin, Clafoutis and delicate Madeleines are among the best in the city, and despite beginning as strangers to Paris, they have thrived. We’re interested in how your boulangerie got started. Could you explain how it all began? In fact, my husband and I are Korean. We arrived in October of 2002, so almost 13 years ago. And is baking and having a boulangerie a family tradition? No, no, actually my husband started it. He studied all the techniques and after eight years, he opened the boutique. We lived in Angers (near Provence), so he studied at a school for adults, which taught him how to make bread. He started working over there. Did you begin learning in South Korea? No, in France. All in France. There’s a school in Angers for foreigners to learn French, so I studied there. Actually, my husband, he was studying but he wanted to change routes and become a pâtissière. But because he started very late, he wanted to have a special experience, you know? So he was hesitating between two countries, Japan and France. And he finally chose France. Because it was known to us. It’s very well known for its bread and its cakes, the best known. Germany is nice, but not as well known for its bread. And what did he do before? He was studying. He has a doctorate. I’m curious about your transition since I’m a foreigner as well. It’s a bit difficult to adjust! Can you describe the process to me? Initially, we came just to learn the technique and get a diploma. And in fact, when he did the apprenticeship, he was not really making patisseries. At first he just knew bread, and he became well known. So someone suggested to my husband that he could join a chain, like Paul. There were a lot of shops. He suggested that my husband open his own boutique. So we thought about it —we have all our children with us; it’s better to stay here. At first, and even now, what do you think of France in general? It’s very different, la vie parisienne and life in the country. When I lived in Provence, it was completely different. The ways of life are different. There’s more stress here, we’re always busy, and the price of living is expensive. You earn more than the French living in Provence, but the quality of life is not as good. If you earn a lot of money, it’s not that different, but if you’re normal and earn an average wage, the quality of life is slightly worse. And that’s because it’s more expensive to live in Paris? Much more expensive. There just isn’t a lot of space. But do you like this neighborhood in general? Me, I don’t live here, but the boutique is here. I don’t actually know this neighborhood very well. In the 5th arrondissement, the Latin Quarter. And in your opinion, what qualities does an excellent boulangerie need in order to succeed? 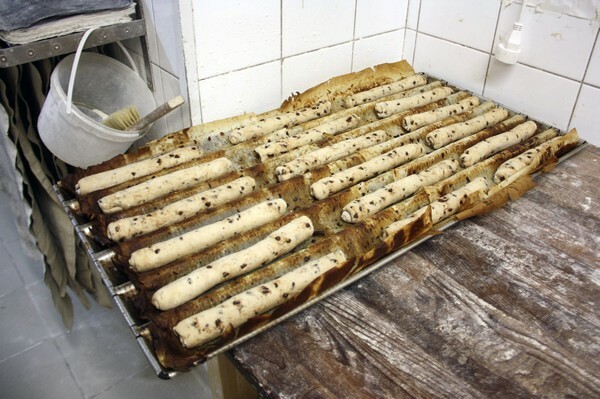 As a matter of fact, in Paris, 75% of boulangeries do not make their cakes themselves. They’re frozen. They buy frozen cakes and sell them. But we make everything ourselves at Le Grenier à Pain. So the quality of our cakes and bread is the best. In fact, we begin at 4am. If you buy the products, you could start later, but it’s not like that with us. It’s a little less expensive too, but the quality is not the same. At the boulangerie, we do everything artisanally. 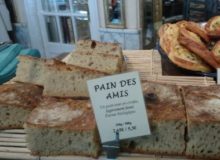 Which products are the most popular at Le Grenier à Pain? I think the cakes and the baguettes, because three years ago, we won the 8th best baguette in Paris. When we get back, you can see our diploma! So the baguettes are good. 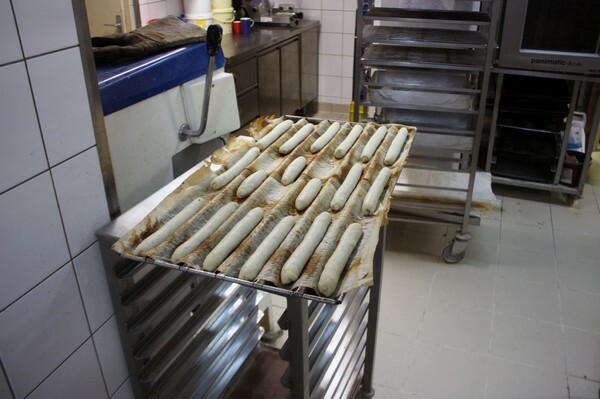 There are a lot of restaurants that buy baguettes from us. And which cakes in particular? Les fraisiers (strawberry cakes). Our customers also like our tartes de citrons (lemon tarts). They like the éclairs and flan too. And what are your favorite places to eat and drink in Paris? Here, it’s the best! [laughs] There are so many great restaurants. You can choose between all the restaurants, there are choices. In Provence, there are fewer choices. And do you want to stay in Paris for the time being? Yes, I think so. I think we’re going to stay. 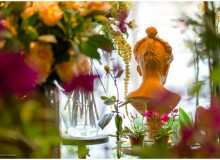 Have you ever been to Le Grenier à Pain? 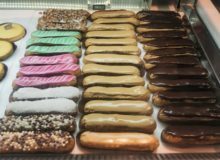 What is your favorite treat from the boulangerie? Let us know in the comments box below.